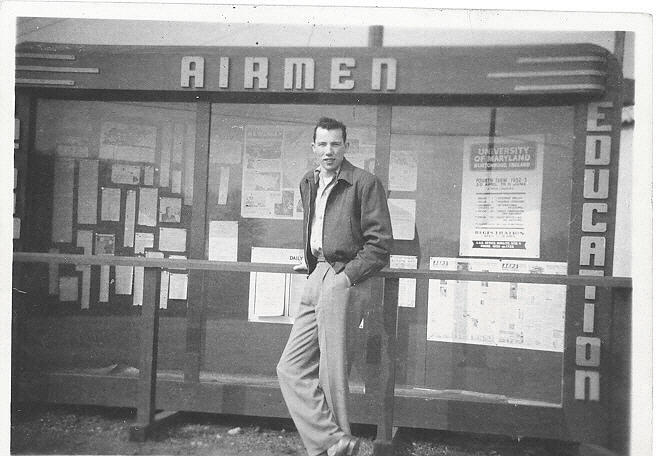 I came to RAF Burtonwood in late December 1951 and was assigned to Headquarters Squadron, 7559th Maintenance Group, which was located in Site 4. 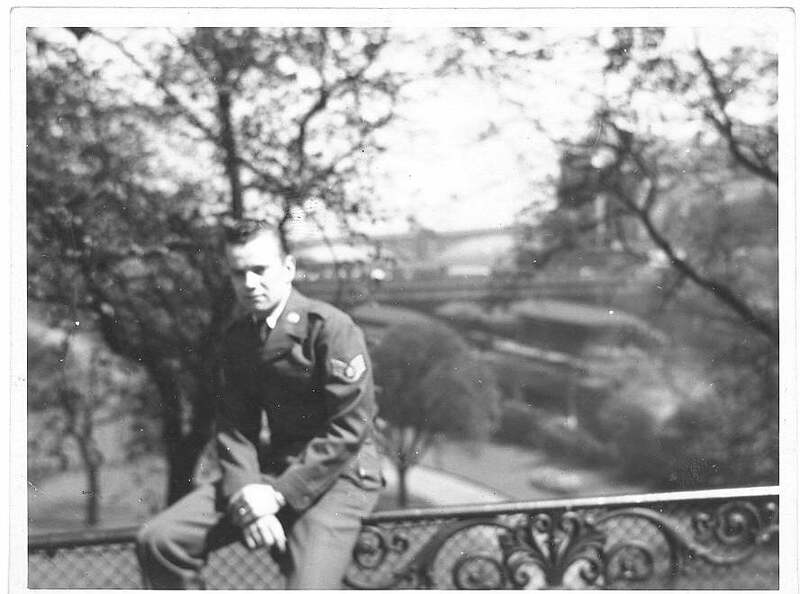 I arrived after enlisting in the U.S. Air Force in May of 1951, attending basic training and technical school. 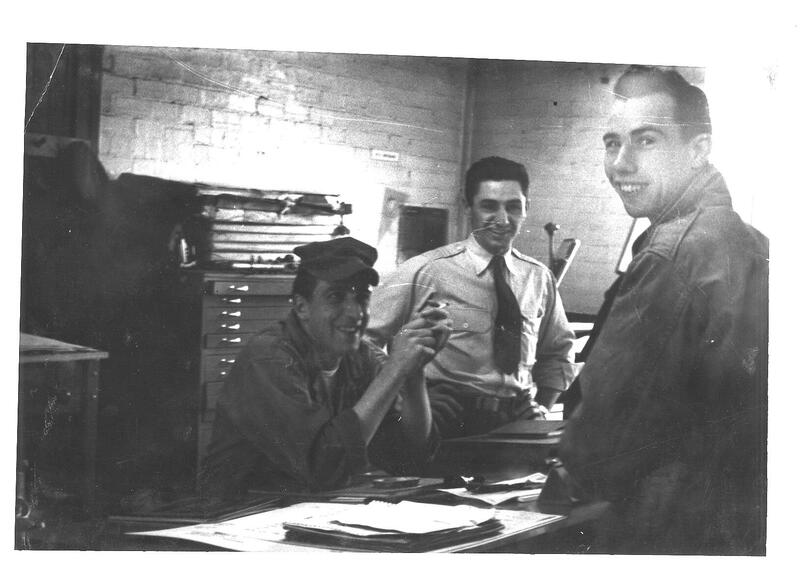 I worked in the depot Vehicle Production Control located in BRD and later Mary Ann sites. 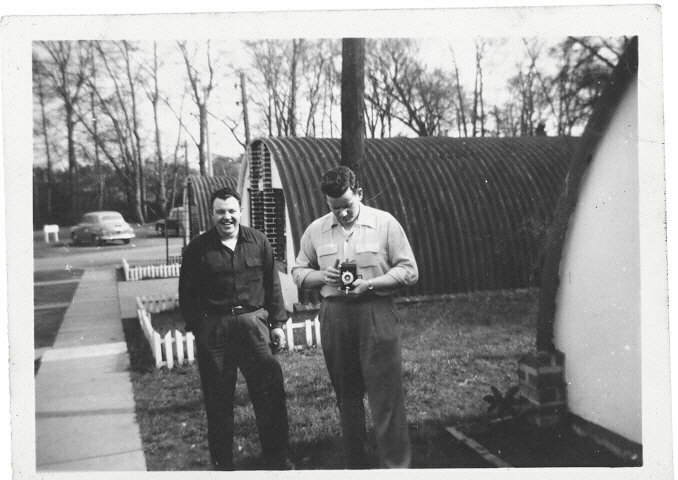 I will send a series of pictures taken while I resided in Site 4. 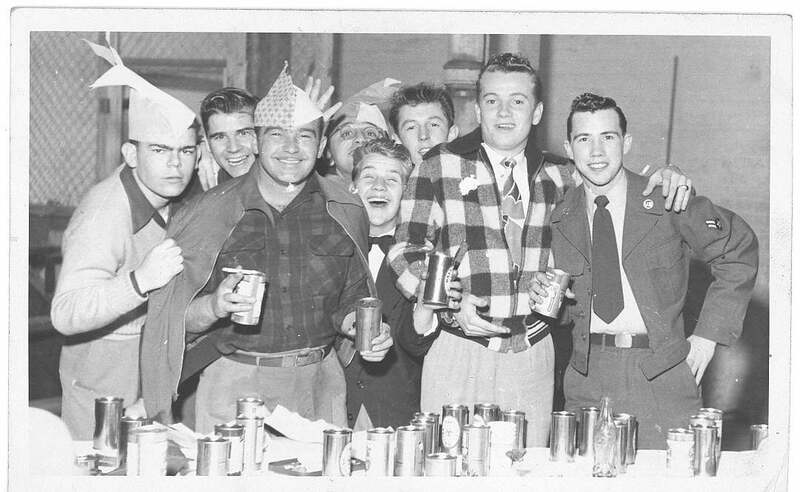 HQ SQ party held in April 1954. 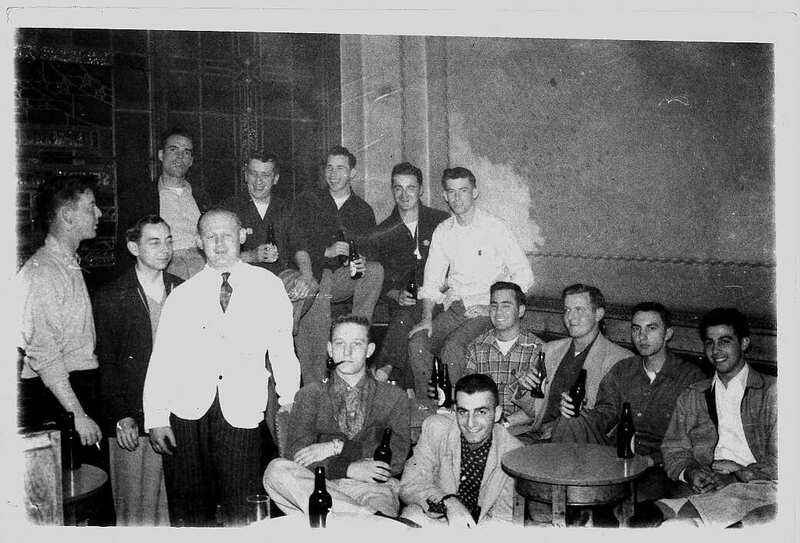 Members shown in the party photos are Bill Wilson and my self with other members of the squadron. 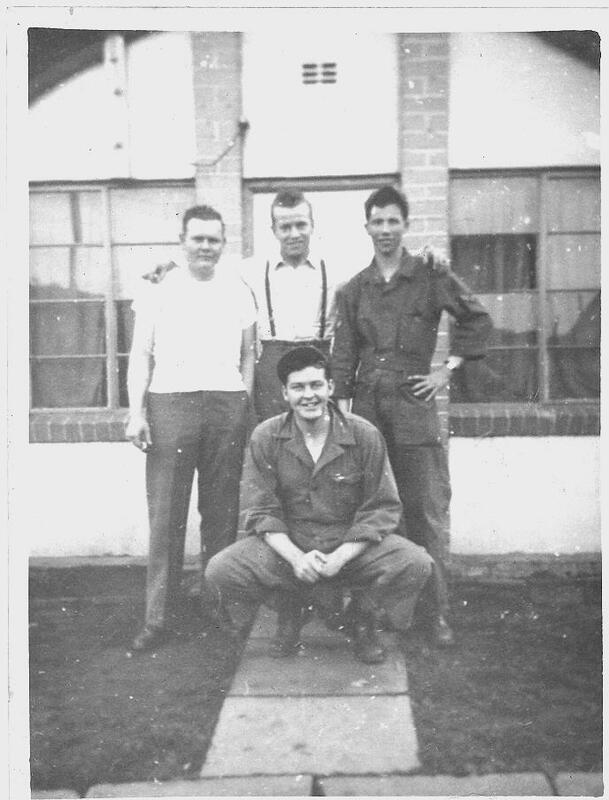 Additionally, a group photo in the Squadron parking lot shows Edward (Red) McCormick, my self and others; photo of Red McCormick in front of Squadron sign and lastly a photo of my self in the back part of living area in site 4. 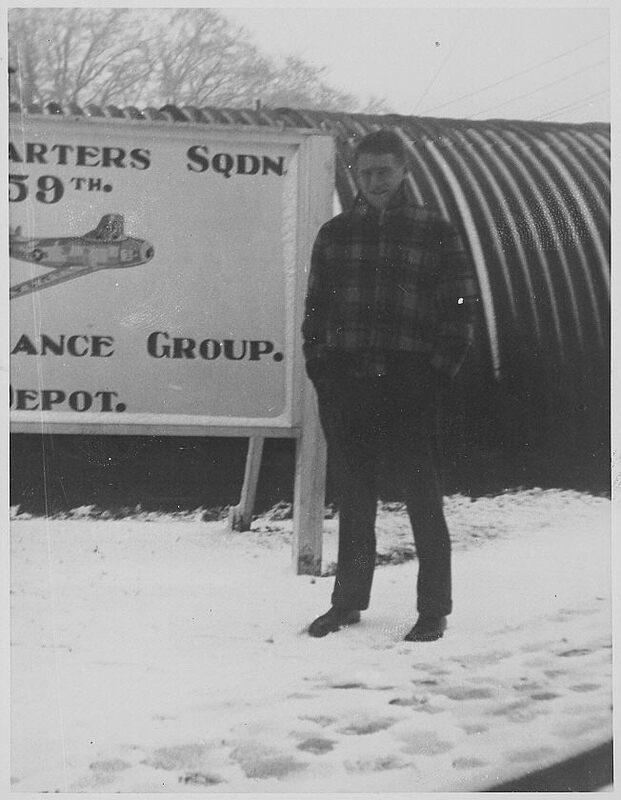 Hq Sq Squadron bathed in Snow, 1953. Inside of our living quarters. 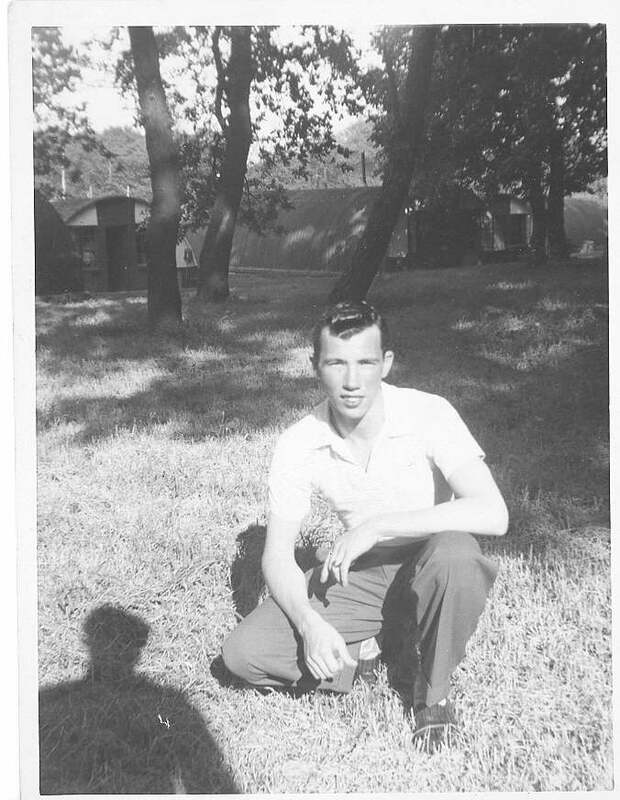 Me in the Squadron area. Notice all the flowers we planted for our squadron. 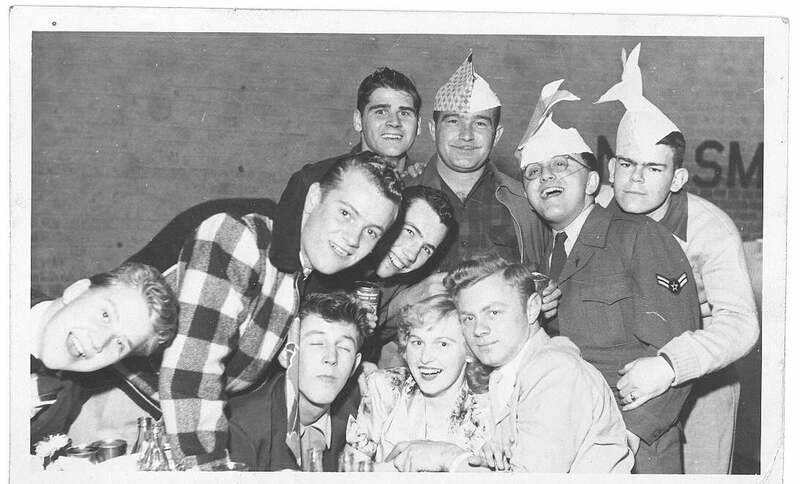 Wish it was in color. Me in front of our bulletin board. 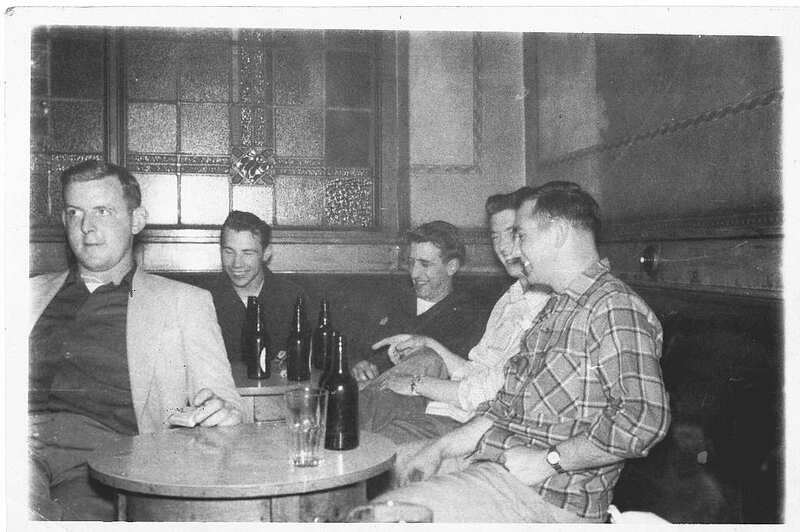 Members of the squadron in the Seven Stars pub in Warrington. We jokingly referred to the Seven Stars as the Astronomers Club. Time (more than 50 years) has erased from my memory of many of the names of the individuals. In the top picture is my self and A1C Myers in the center of the photo. 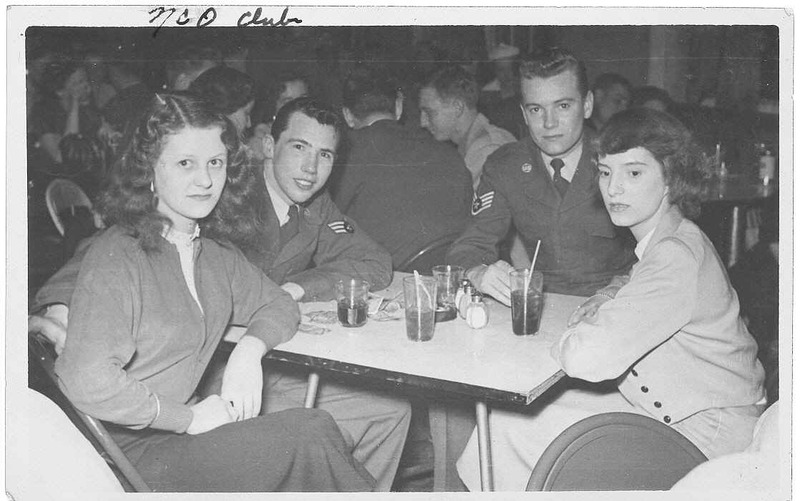 In the bottom picture on the back row left to right is A1C Carlin, myself and Myers. 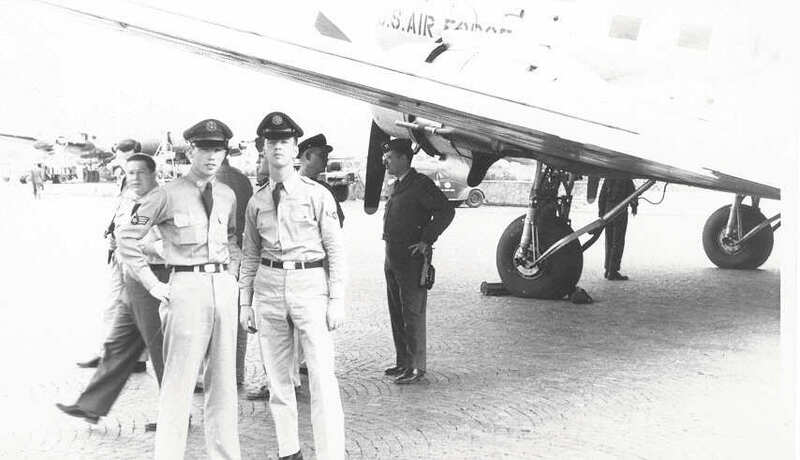 At the extreme right is A1C DeCarlo. Back row is A1C Frankie, SSgt Wilson and myself. 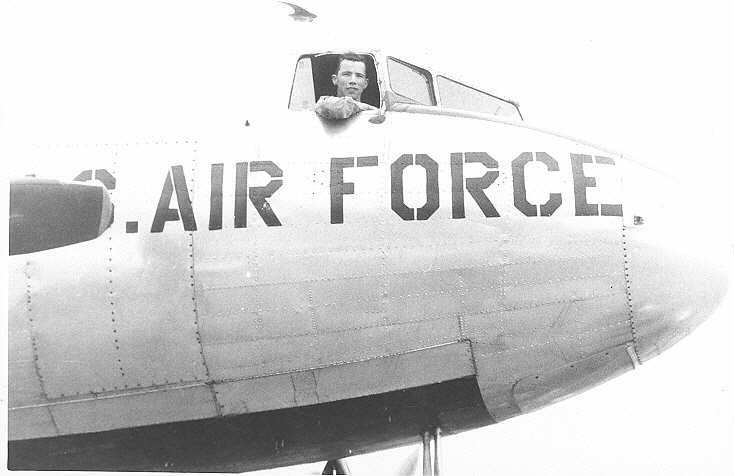 In the cockpit of a C-47 at Burtonwood as we are preparing to fly to Rome, Italy. 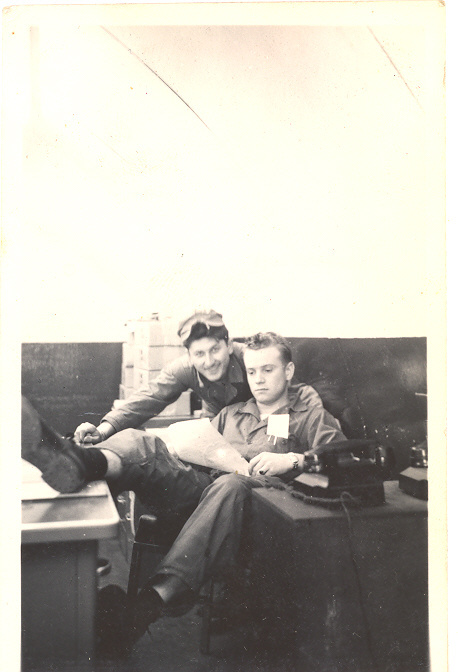 A1C Myers, A1C Orfananni and my self in their work area (Mary Ann Site). 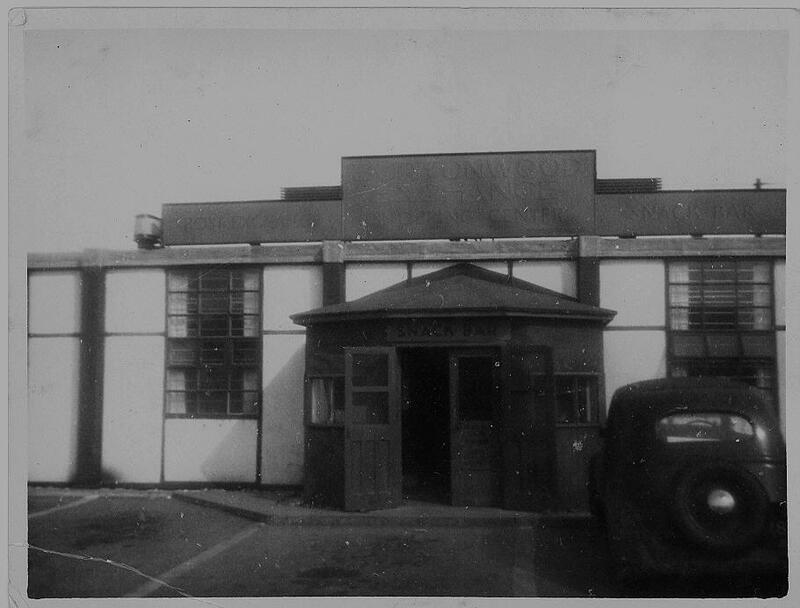 Post Exchange and Snack Bar. 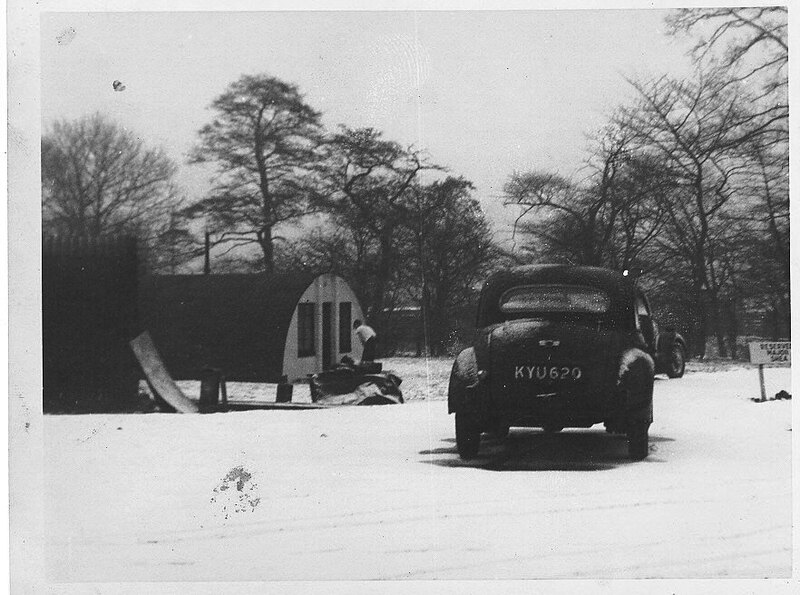 As you can see from the pictures, living conditions in the Nissen huts on Burtonwood was not very good. 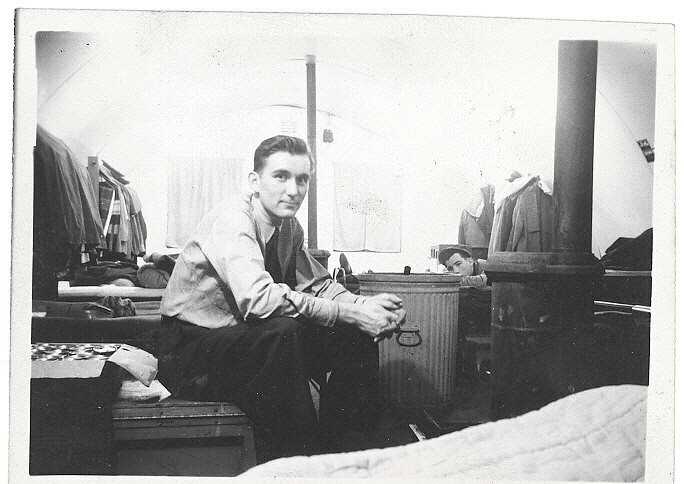 In fact the, in my 33 years of service with the Air Force, this was the worst living conditions that I experienced. They were worse than those I experienced in Turkey or Vietnam. One must realize though, this is only a few short years after WWII and we were rapidly building up our forces to counter the Russians in a Cold War that some times got hot. 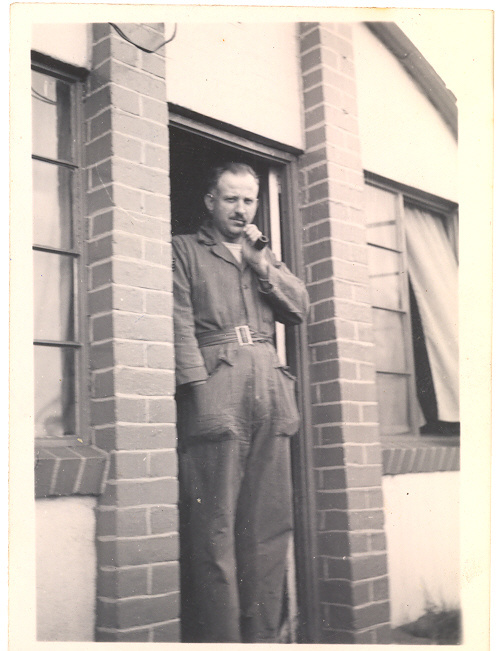 When I arrived at Burtonwood I was the thirteenth man in our hut, but many members were moved on to man other bases and we got down to 6 men to a hut. 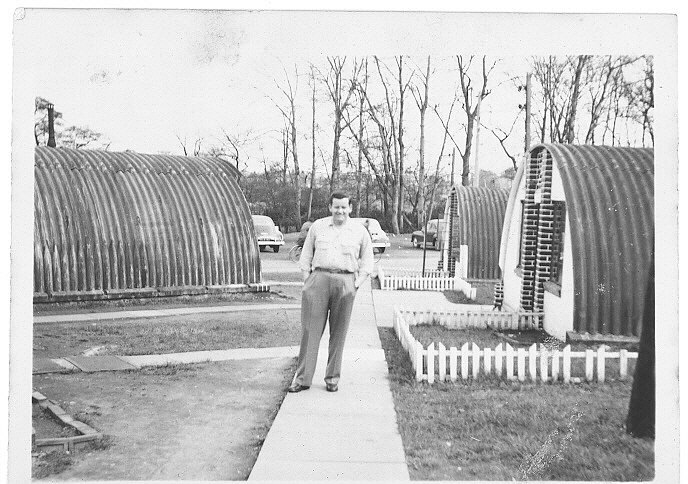 Our Nissan Huts were heated by two coke stoves and were issued a bed with the blankets, sheets, etc, a foot locker and a stand to hang our clothing. Our clothing was covered with a piece of tarpaulin. We later built with plywood a covered place to hang our clothing. We two tone painted our hut and bought curtains for our four windows. 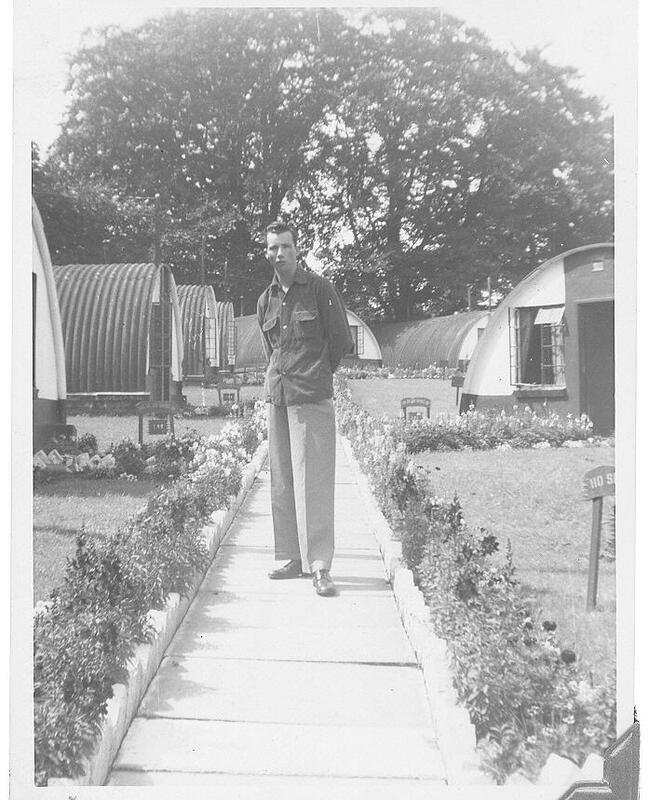 Because of our efforts to improve our living condition in our hut, we were awarded two morale flights to Rome, Italy and Copenhagen, Denmark. 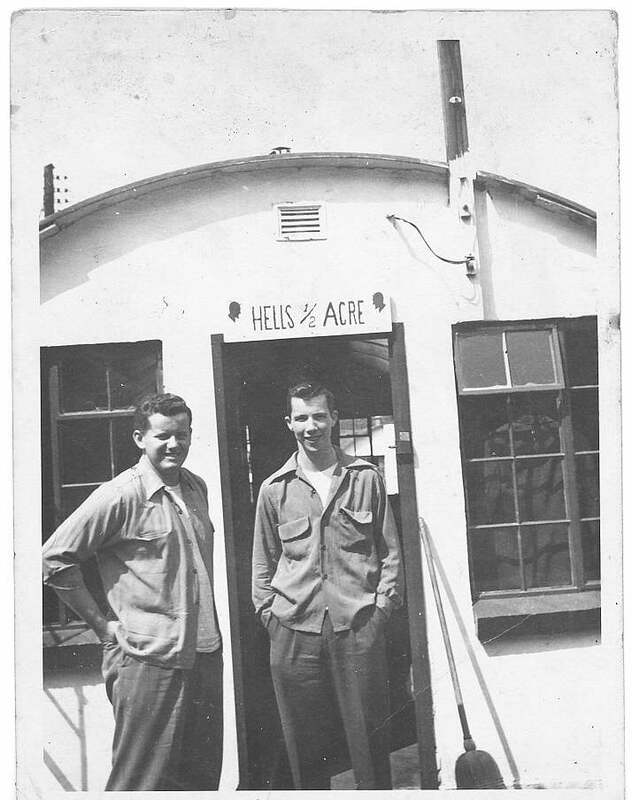 There was one large toilet and shower facility for two squadrons (approximately 500 men). The shower facility consisted of approximate 20 shower heads in one open stall. Approximately 50 wash basins were provided in one open area. The water was seldom hot and a cold shower was very invigorating, especially in the Winter time. 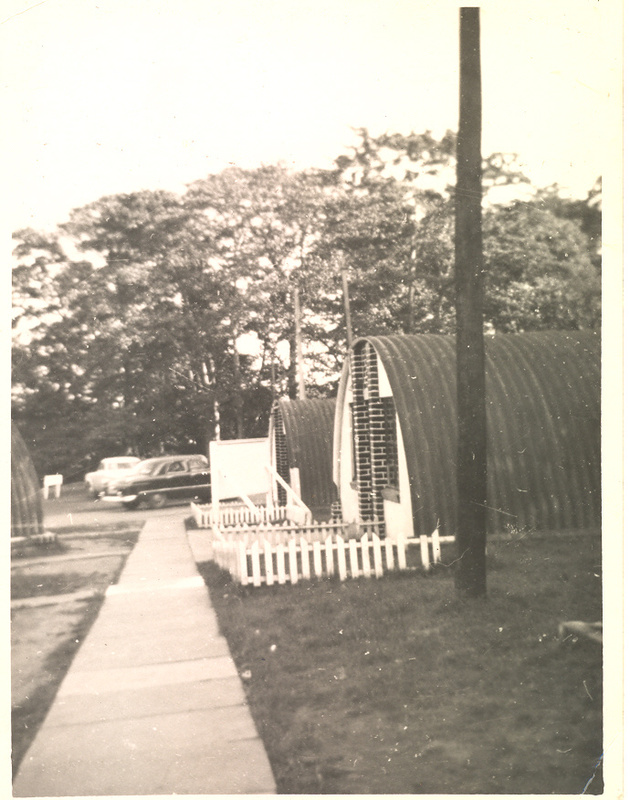 In Site 4 was our only Dining facility which fed the entire base. 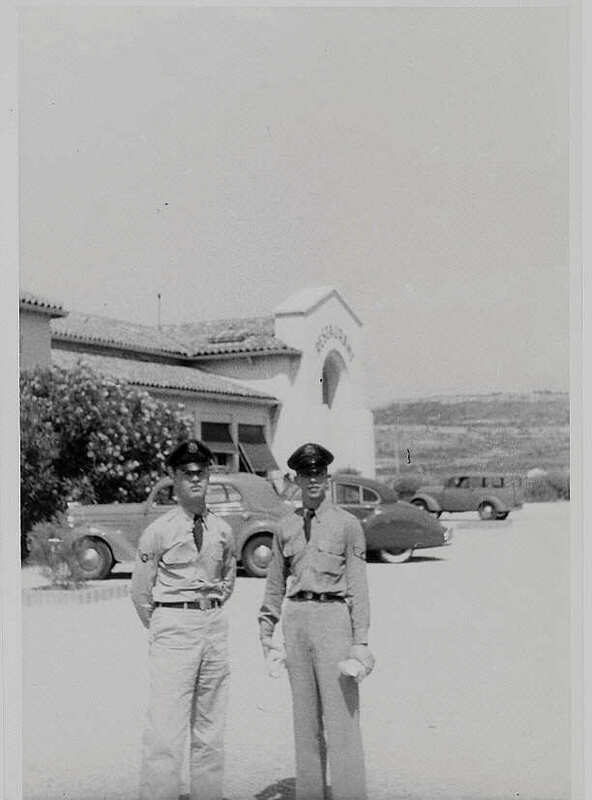 A member of our squadron with his car. 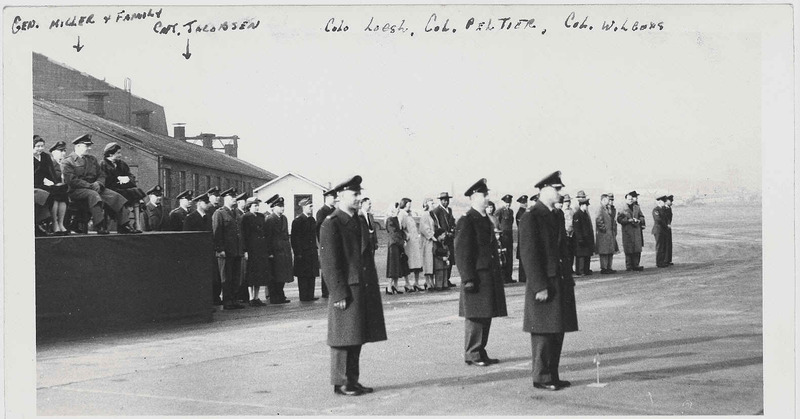 Squadron in background. Same two members near the mail room. 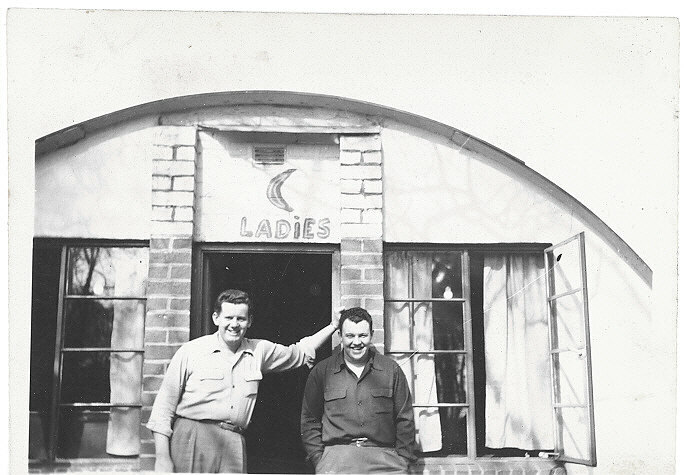 Our Nissen hut living quarters. I am in the background lying on my bunk bed. Our parking lot and squadron bathed in snow. 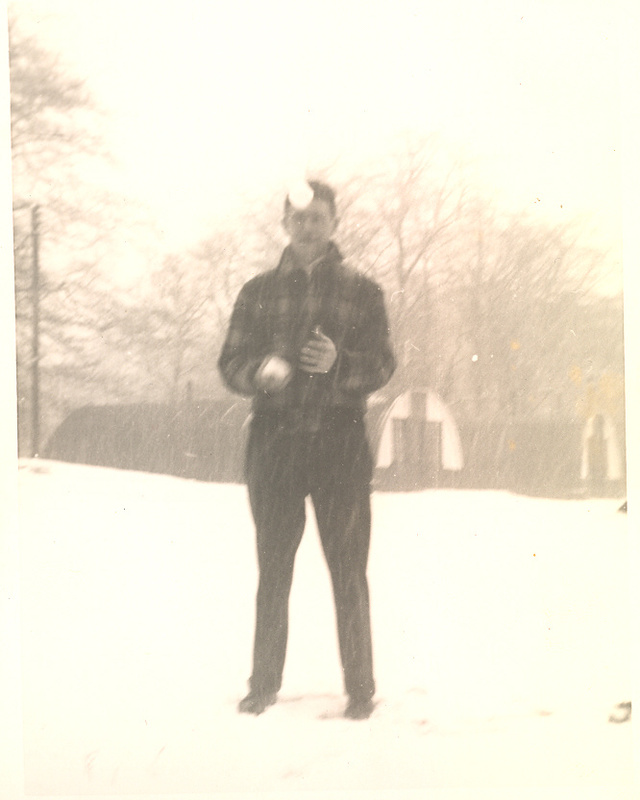 A1C Edward (Red) McCormick with snow balls. 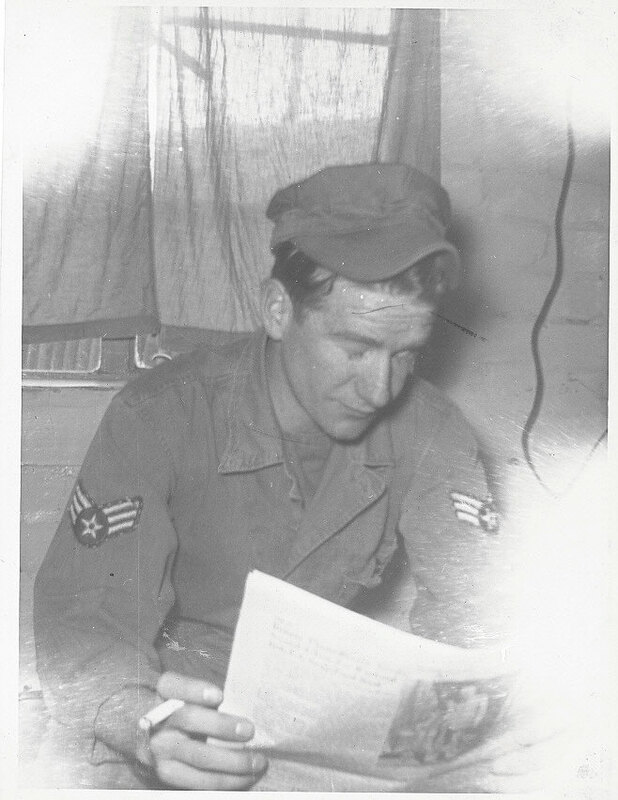 Red McCormick reading the Stars and Stripes Newspaper in our hut. 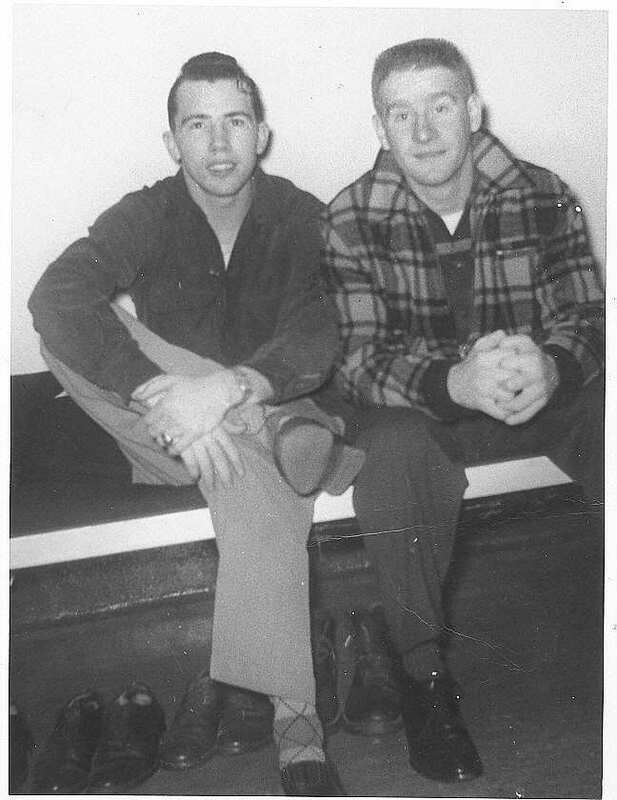 SSgt Bill Wilson and A2C Gemond in the Orderly Room. TSgt (?) 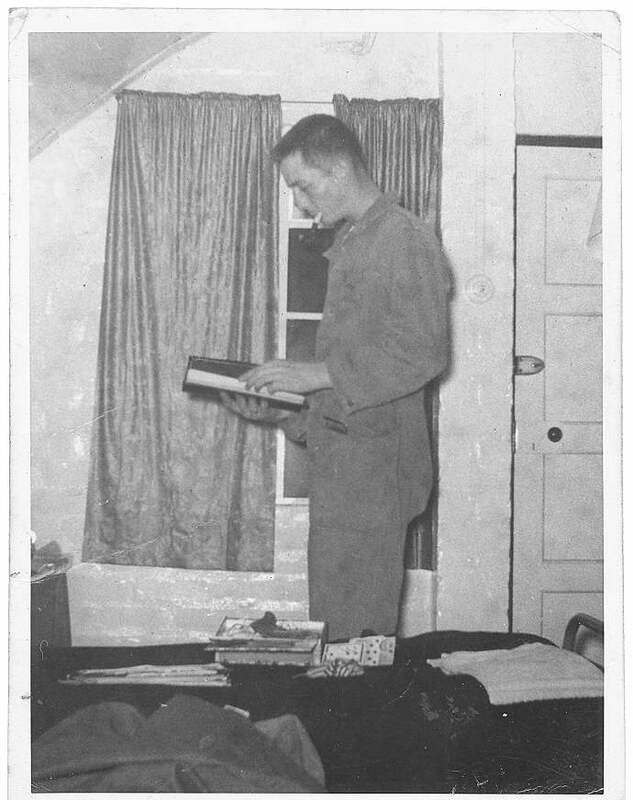 who resided with us for a short period of time until his family arrived from the USA and he moved off Base. 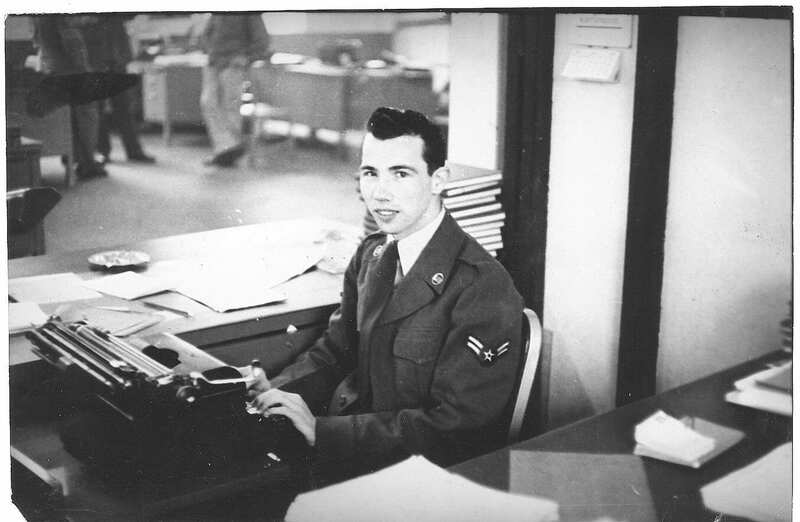 Squadron mail room and orderly room. 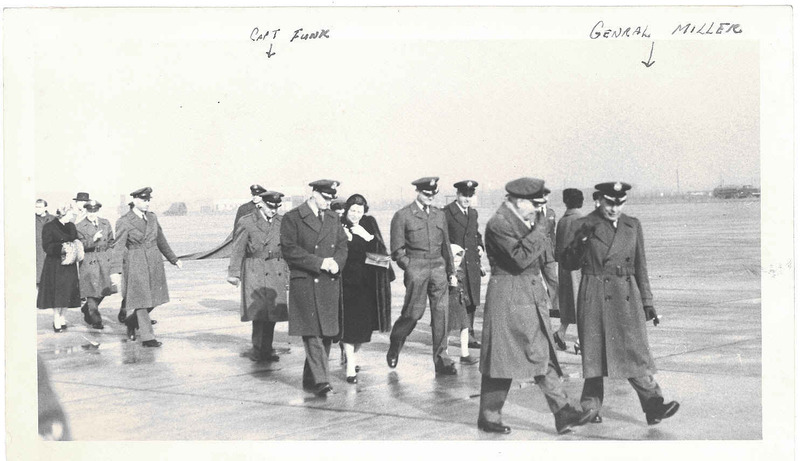 Myself and other members of our squadron in France on our way to Rome, Italy. 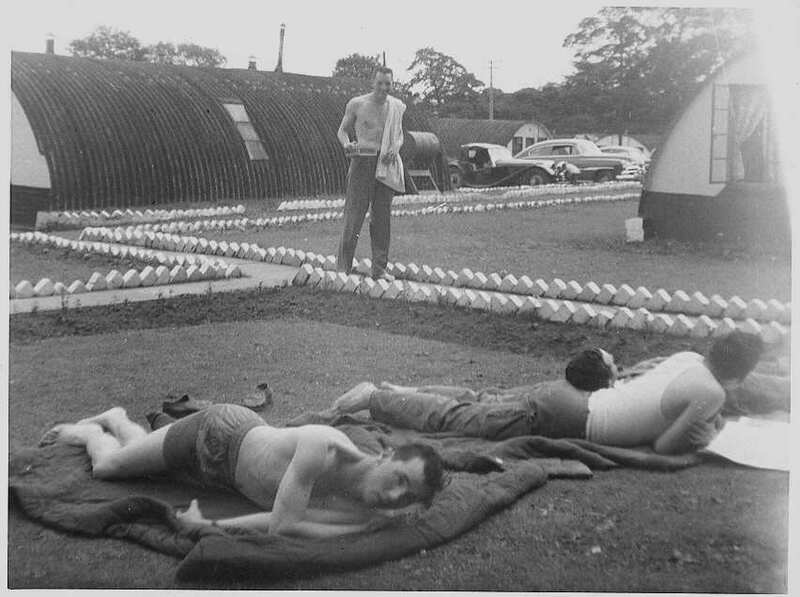 Myself and other members sun bathing on a warm Summer day in 1953. 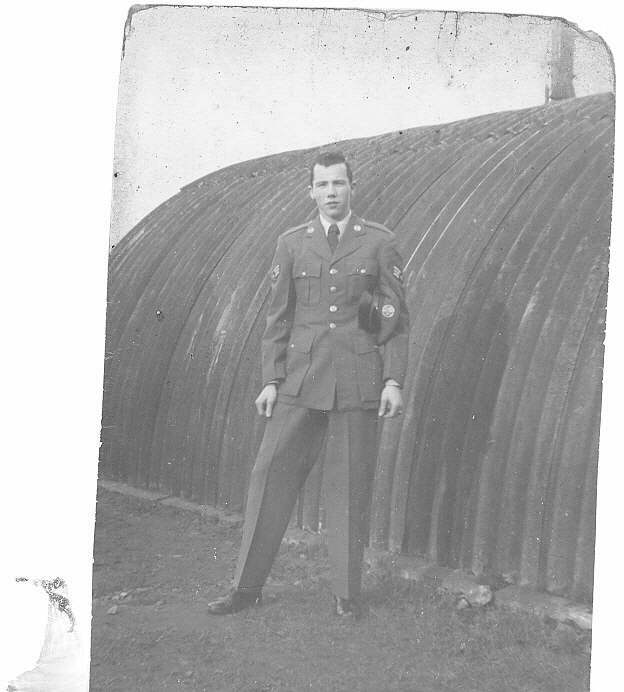 RAF Burtonwood was my first permanent duty assignment which led me to a 33 year career with the U.S. Air Force. 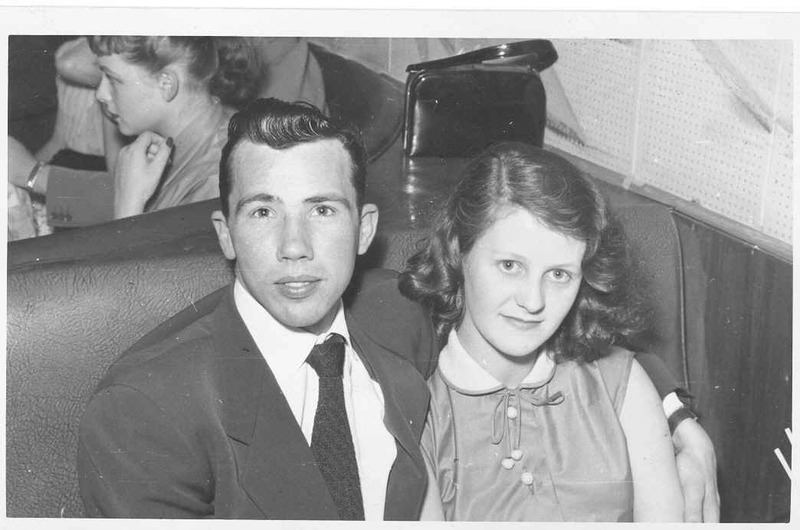 My assignment there changed my life forever since I met and married my wife of the past 51 years. 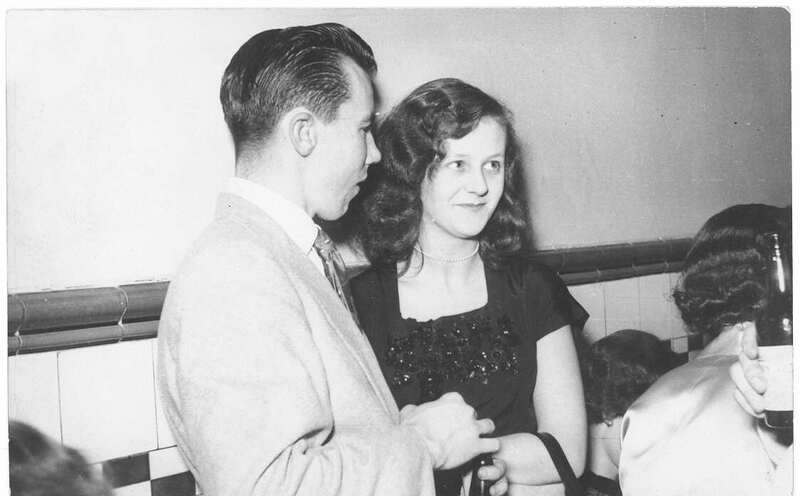 The young lady that appears with me in these pictures is Ann Norbury and my wife. She traveled with me on all of my assignments except Vietnam. 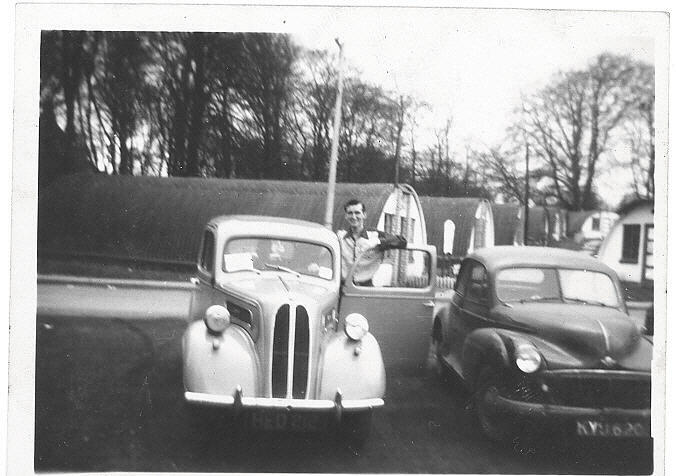 We have visited on many occasions through out the 51 years since we departed Burtonwood and our last visit being in May 2005 to attend her brothers funeral. 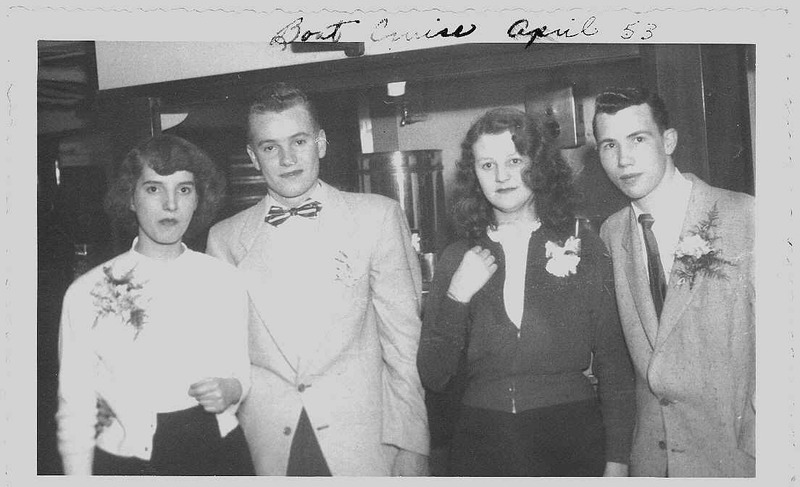 A cruise to Southport in 1953. At the Burtonwood NCO Club. 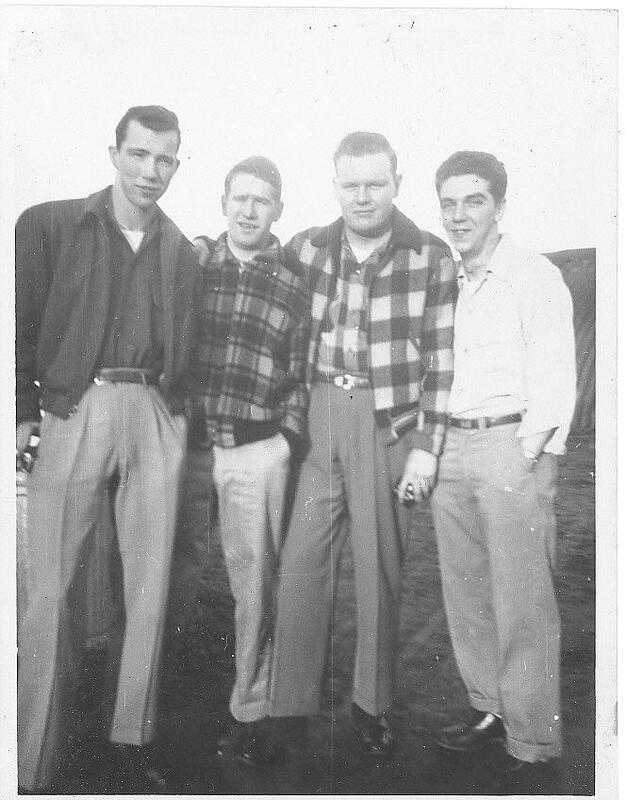 Myself, Red McCormick, Frankie and Gemond. 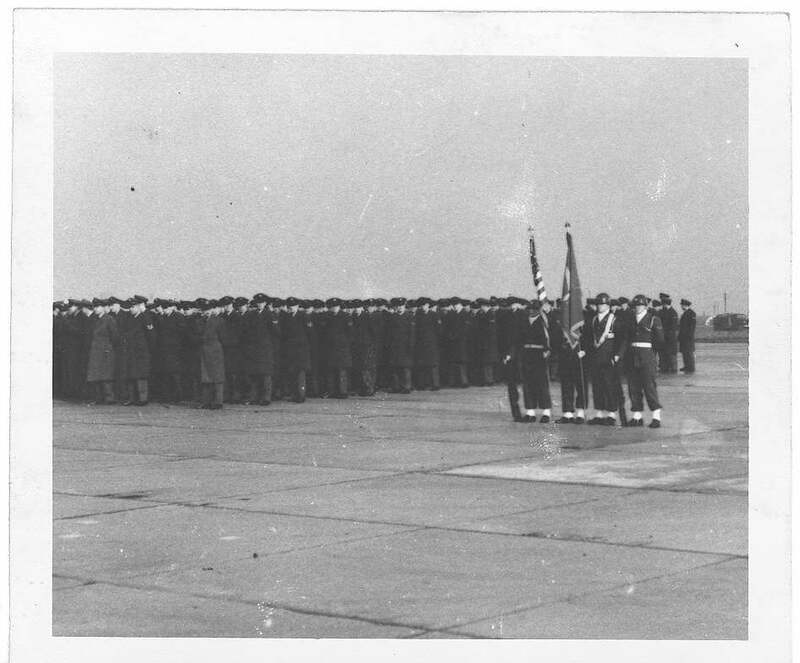 I later returned to England in 1968 serving at RAF Wethersfield and RAF Upper Heyford, departing in June 1974. 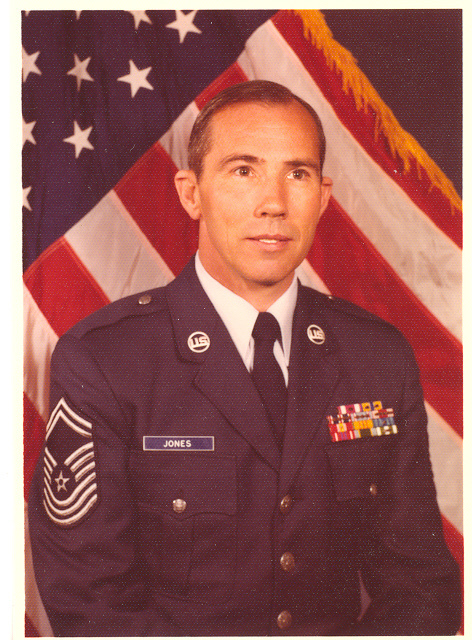 After serving in the U.S. Air Force for 33 years, I retired as a Command Chief Master Sergeant in July 1984.